The end of the tennis season concluded with the State Tournament at the Tri-City Court Club and Kamiakin High School in Kennewick, WA on 5/24-5/25. Shorecrest qualified a boy singles, boy doubles, a girl singles, and a girl doubles team. The team represented Shorecrest well, playing with heart through every point and showing class both on and off the court. Every Shorecrest player played three full matches the first day with the first match starting at 8:30am and the last match ending at 6:00pm. It was a whirlwind of nonstop Shorecrest Tennis throughout the day. All the girls won two matches on the first day, so they made it to the coveted Day 2. 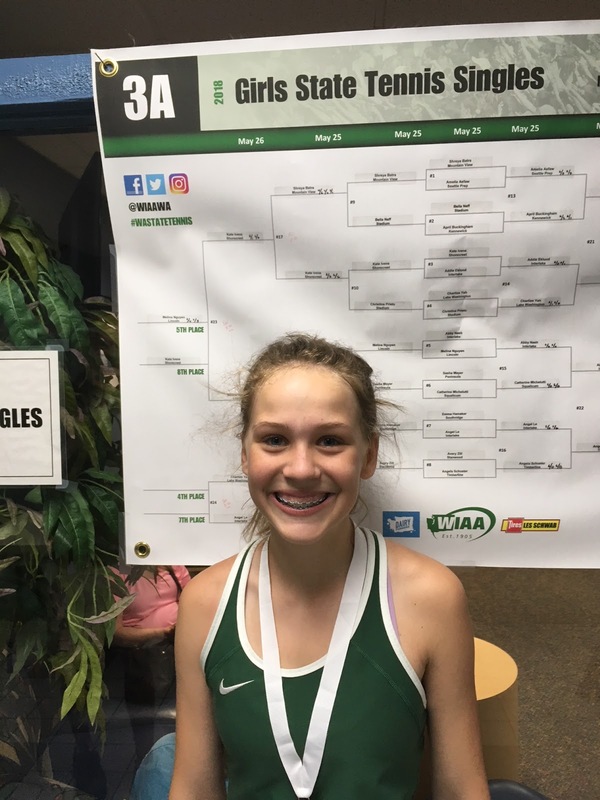 Kate Ivens placed 8th in her first State Tournament as a freshman, playing fundamental tennis and hitting beautiful groundstrokes. She will be a force to be reckoned with on the court next year. 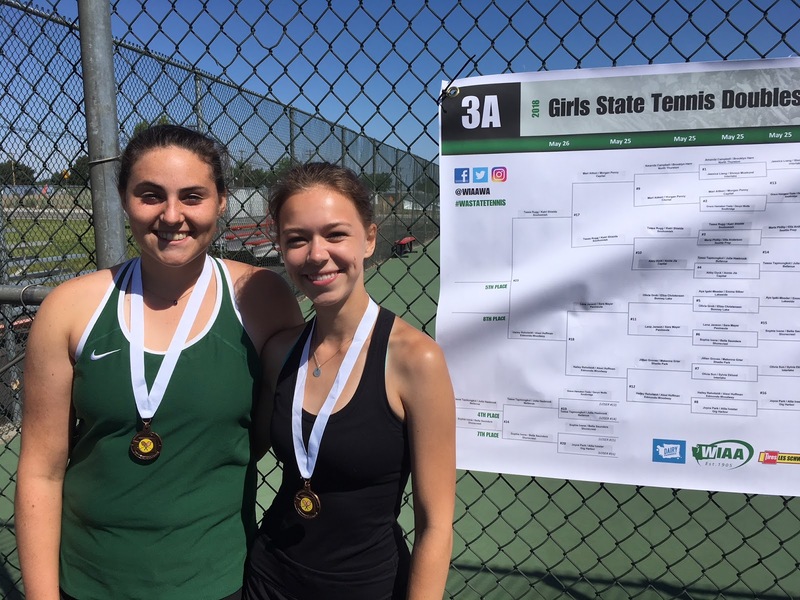 Bella Saunders and Sophie Ivens placed 7th with big serves and solid returns. They faced some tough competition and showed a great amount of resilience. In their third match they have to overcome two match points in favor of Gig Harbor in the 3rd set tiebreak. They found a way to hold on and take the lead for good in the three-hour saga. This was Bella’s second year at State and Sophie’s first. As a team, the girls walked away with a 4th place finish. This is the first time ever that the Shorecrest Girls Tennis Team has won a team award. Faiz Khan had to serve underhand at the tournament due to some unforeseen circumstances in his second year at state. He remained in good spirits and still battled and once he got into a baseline rally, he would dominate with powerful forehand groundstrokes. The tournament didn’t go as well he would like, but he is motivated and excited to get back to State next year. Ben Silber and Reed Tangeman worked on shaking off the cobwebs in the first match, but really pulled it together by the second match. Reed had his kick serve dialed in and Ben continued to rip forehands that gave their opponents fits. 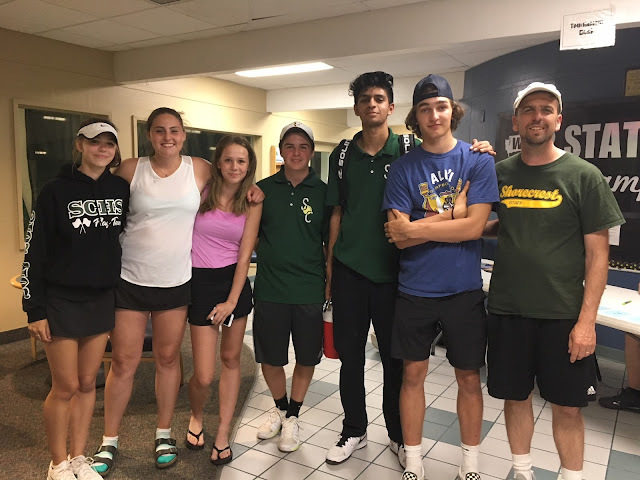 It has been an amazing season and the future bodes well for Shorecrest tennis since everyone should be returning next year.